Many women are starting to turn to sapphires as their stone of choice for an engagement ring. While there are many varieties of sapphires, by far the most popular is blue. A blue sapphire gives your engagement ring a unique look while bringing both elegance and beauty. 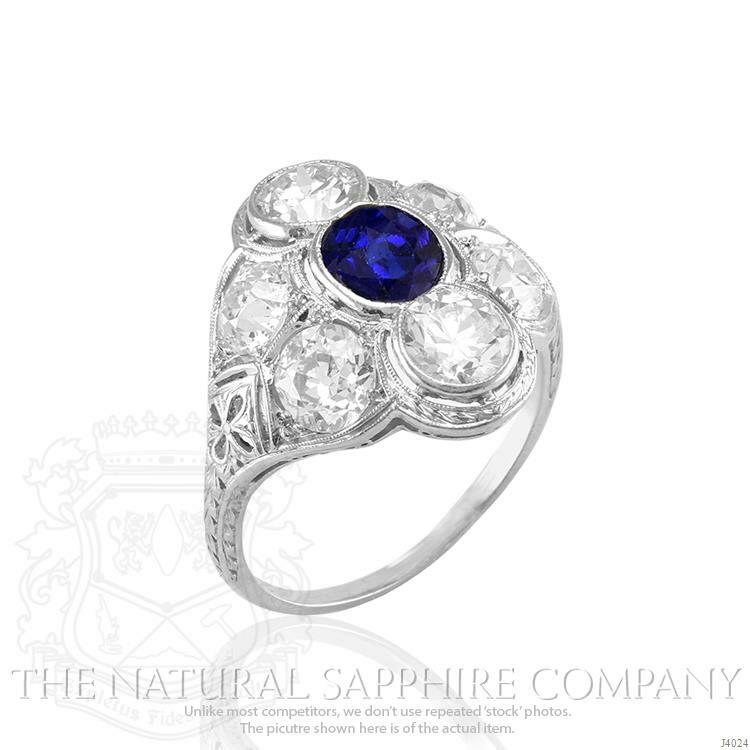 Whether you’re buying a blue sapphire engagement ring or jewelry with blue sapphires, it is the perfect choice. There is a lot that goes into picking out the perfect blue sapphire, it can get confusing. We’ve complied a list of unbiased and thorough information to help you purchase blue sapphires. Below you’ll find the answers to all your questions. Color: The color is what shade the sapphire is. The key factor in color value is its saturation, essentially how pure or intense the color seems. 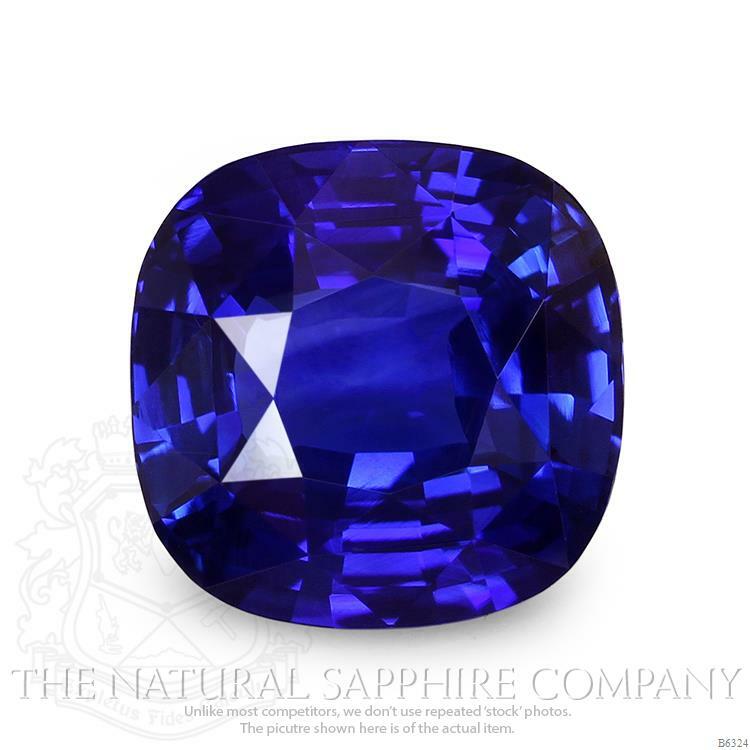 For most sapphires, the higher the level of saturation, the better. 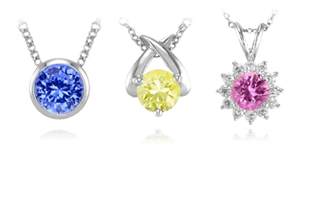 Clarity: Most sapphires will come with a few inclusions. Sapphires with no inclusions should cast suspicion as there is high probability they are synthetic. You want to look for a sapphire that has no inclusions visible to the naked eye. experts look at the size, location and number of inclusions to judge clarity. The less visible the inclusions are, the higher the grade. Cut: The cut is essentially what makes a sapphire really sparkle. The cut of a stone refers to how it was faceted and polished from its rough state. Sapphires are given a cut grade, which factors in symmetry, windowing, extinction, and brilliance. Carat: The weight of A sapphire is measured in carats. Typically, larger gem quality stones are harder to come by than smaller ones, so they are valued higher. How the weight affects the price will vary between different colors. For example, yellow sapphires are frequently found above 5 carats, while blue ones are a little harder to find. The first thing you’ll want to ask when buying a blue sapphire is “what shade of blue should I get?” Color is the most important element when assessing the value of a sapphire. The most sought after and prized color is a strong vivid velvety blue to violet blue in medium, to medium-dark tones. 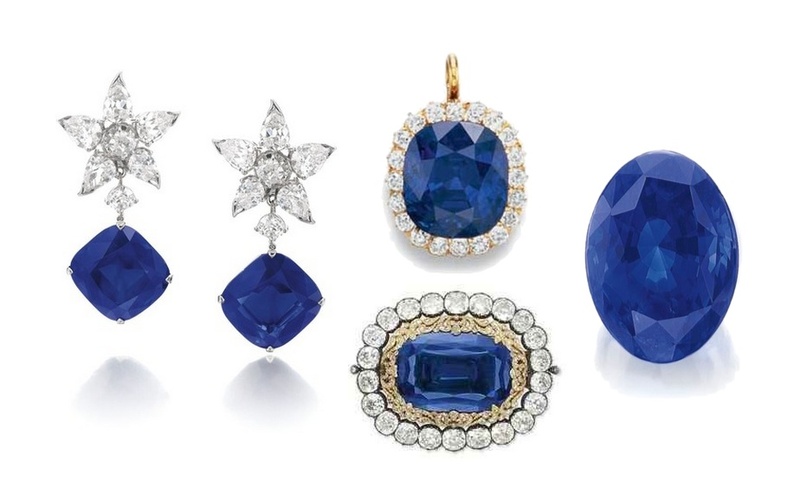 From pale baby blue to royal blue, sapphires come in a large variety of hues. Essentially it comes down to your own personal tastes, it is up to you how light or dark you like your blue sapphire to be. You’re probably asking yourself “do blue sapphires really make good engagement rings?” and the answer is YES! While most people go with a diamond, blue sapphires are not uncommon. In fact, they are not only traditionally used in the families of British Royalty, they are quite common among celebrities, such as Mary Kate Olsen, Penelope Cruz and Elizabeth Hurley. 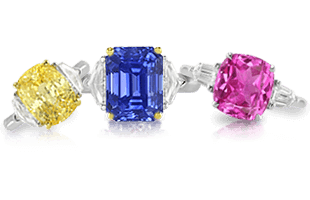 Up until the 1940s, colored stones were actually more popular than diamonds when it came to engagement rings. Blue sapphires may no longer be the norm, but that’s what’s so great about them. They allow you to have something personal and unique, we think that’s very important for a ring you’ll wear for the rest of your life. So where exactly do blue sapphires come from? Blue sapphires are mined from a few specific locations throughout the world. Three of the most popular are, Burma and Sri Lanka and Madagascar. Each location that produces blue sapphires does not produce the same quality or quantity. Stones that come from Kashmir, for example, are extremely rare since mines there have stopped producing, but their sapphire colors are known to be some of the best. Mines in Australia on the other hand have good production of sapphires that are of a darker-blue hue. 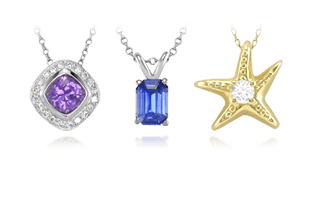 When you look at blue sapphires – or any sapphires for that matter – you will see a wide range of prices. This is due to the quality of the individual stone. 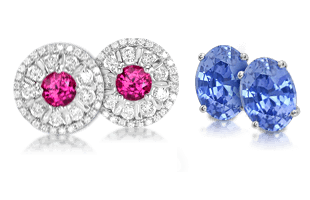 Each sapphire is graded on its own to determine its value. Untreated and natural stones are rarer, and therefore have higher costs. No two stones are alike, and therefore price can be very different. It is important to note that sapphires coming from famous sources like the historic Kashmir mines can command higher prices than stones from elsewhere, even if they are of the same quality. However, buyers should be aware that origin does not equate value. For a stone to gain value because of its famous source, the sapphire itself has to be of an exceptional quality. Famous origin can escalate the price of an already valuable sapphire, but not a stone of low grade. So what will you pay for your blue sapphire? As we said, this will depend upon the stone you want to get. However, we can at least give you a rough idea as to what you might be paying based on our own inventory. As you can see, the prices can range quite considerably. It is important to remember that these are just estimates, and that the stone you pick will be valued individually. 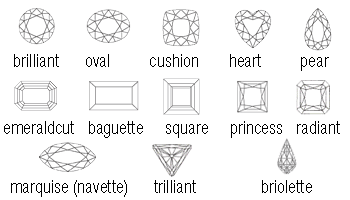 When it comes to the shape and the cut of your blue sapphire, you have a lot of options. When you choose a shape, you want to go with one that suits you. You can either get a round stone, or even something that is heart-shaped. Our cuts are tailor made to suit your desires, while also bringing out the best in out stones. When purchasing a sapphire, you want to make sure you have examined it as well as you can. These are important choices and we want you be sure that you are happy with your stone. This is why we have professional photos of every individual stone we sell, not just a stock photo. This ensures you are getting an accurate representation of a stone. We suggest looking at our video function and 3-D report so you can get a better idea of what your stone will look like. View a stone in person by having a sapphire shipped to you for inspection before you decide to buy, or schedule an appointment with our showroom if the sapphire is available for show. Before you purchase your sapphire, it is important to know everything you can about it. This is where a lab report or a gem identification report comes in handy. 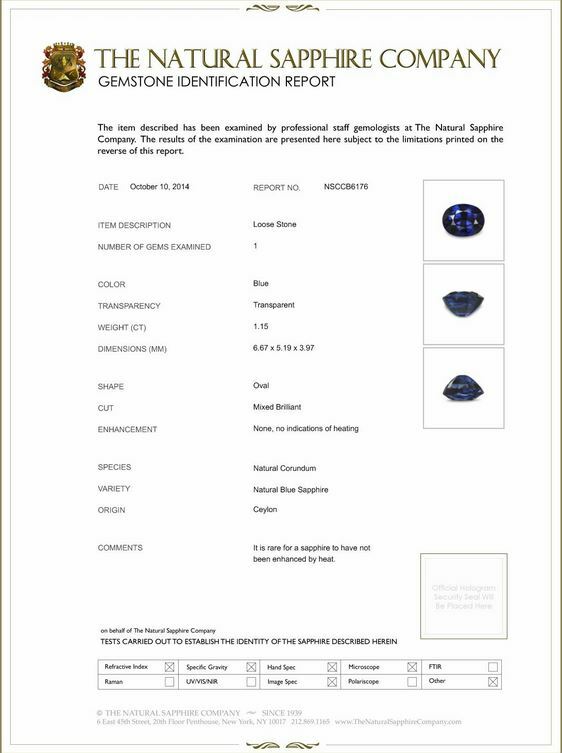 The report will give you every detail you need to know about your sapphire so that you can ensure its quality, a gemologist on our staff examines our stones and ensures the report’s authenticity. We provide all of our customers with a copy of this gem report online and shipped with your stone when you make a purchase. If you would like a lab report simply let us know, we are happy to assist. The more you can know about your purchase, the more likely you are to be happy with it. 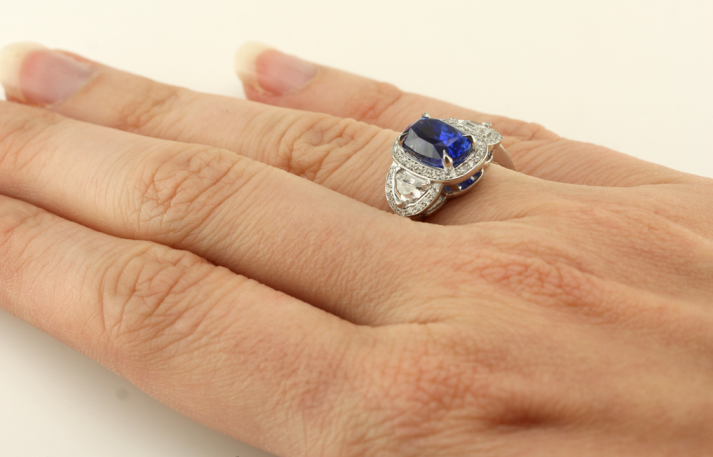 Our last tip when purchasing a blue sapphire is simply to ask questions. If you do not know something, ask an expert. Our team of professional GIA trained gemologists are always available to answer any questions you may have about a specific stone, or simply about blue sapphires in general. Our sales team do not work on commission so you can be sure they are helping you with your best interests in mind. Now that you’re armed with knowledge on blue sapphires you can confidently purchase. 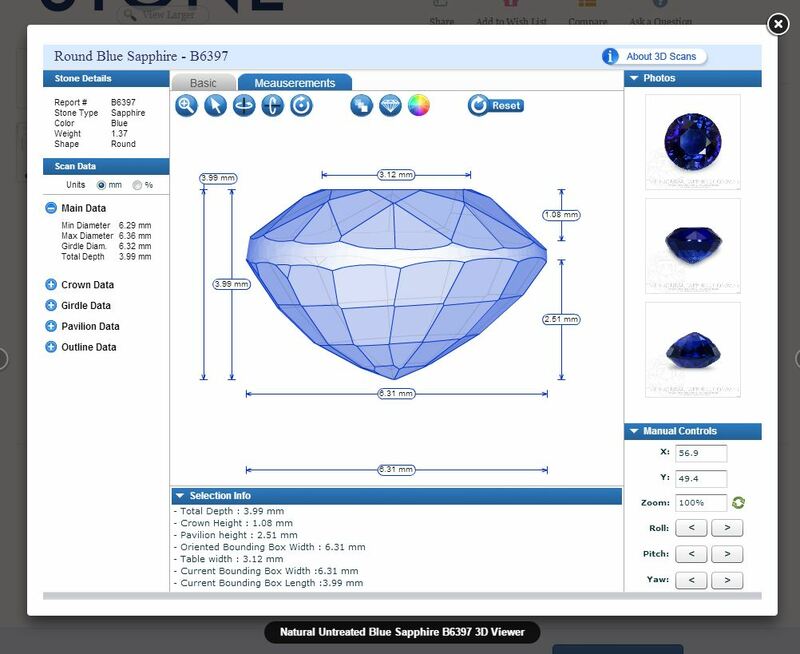 Start your search for the perfect blue sapphire today on our easy to use site. 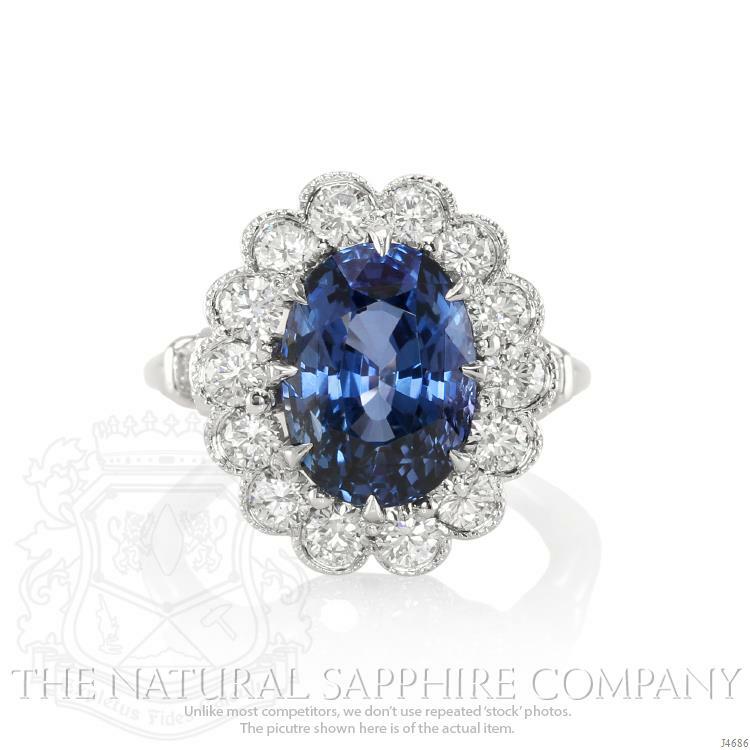 The Natural Sapphire Company has the largest selection of sapphire engagement rings and loose sapphires anywhere so you can be confident you’re getting the best out of your purchase. Will Synthetic Diamonds Take Over?